7 Day Jumpstart Review (2019)- Lose 7 Pounds in 7 Days? 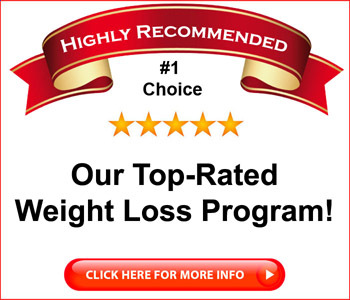 7 Day Jumpstart Review – Lose 7 Pounds in 7 Days? If you’re overweight and over the age of 35, it can seem impossible to shed those unwanted pounds. For some reason, it gets harder to lose weight as you get older. Nutritionist and fitness expert Danette May knows this, and has experienced it firsthand when she gained weight after having three children. She’s created a number of weight loss programs that are designed to help older women get in shape, and the 7 Day Jumpstart is one of them. Danette says you can lose 7 pounds in 7 days without counting calories or carbs and without having to engage in around-the-clock workouts. Sounds like an interesting program, so I decided to check it out. Is 7 Day Jumpstart a scam? Click here to visit the 7 Day Jumpstart Website. Read on for the full 7 Day Jumpstart review. 7 Day Jumpstart is sold as a downloadable ebook in PDF format, which is readable on pretty much any device that can be called a computer, including smartphones and laptops. 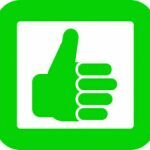 You can download it instantly at any time of day. As I write this review, the 7 Day Jumpstart program includes no bonuses, but most of the time the bonuses sold with diet books aren’t much help, anyway. They’re usually just offered to give you the impression that you’re getting “more” for your money. On the other hand, 7 Day Jumpstart is reasonably priced, and if it can do what it claims, which is to help you lose weight, then you really don’t need any bonus books. Danette introduces herself as a nutritionist, and outlines the plan in general. You’ll be eating simple, tasty meals, and you’ll be eating some 5-6 times a day. Danette believes that when the body feels hungry, it begins to conserve energy. You don’t want that when you’re trying to burn fat, so by eating 5-6 times a day, or roughly every 3 hours or so, your body will always be in “fat burning” mode. In addition, what you eat is important, too. Sorry, but this isn’t the diet where you get to eat fried chicken and takeout pizza every day. On the other hand, you do get healthy servings of protein, lots of fruits and vegetables, and plenty of water. 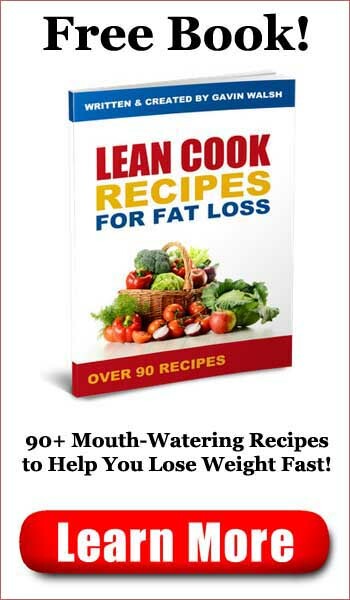 Danette’s a pretty good cook, so there are plenty of simple but tasty recipes to keep you satisfied without feeling as if you’re eating “diet” food. Thee Weekly Menus chapter gives you a meal by meal breakdown of what you should be eating at each of your six meals, complete with quantities and recipes. There’s a Super Foods chapter, where Danette goes over the list of foods that she calls the Super 8. These are foods that, in her opinion, pack a whollop when it comes to providing nutrition and helping you burn fat. The 7 Day Jumpstart, like many other weight loss programs, recommends that you drink plenty of water. Danette says you should drink about a gallon a day, and she devotes a small chapter to the benefits of drinking water, which helps you flush toxins out of your body as well as helping to keep you from feeling hungry. Exercise is an important component of the 7 Day Jumpstart plan, too. Don’t worry; you won’t be having to workout around the clock to lose those 7 pounds in 7 days. Danette realizes that a lot of people hate to work out. She also realizes that a lot of working women just don’t have time for extensive workouts or have access to a gym. That’s why the 7 Day Jumpstart program includes HIIT, or High Intensity Interval Training. It’s a cardio program that includes short bursts of high-intensity training that accomplishes a lot in a short amount of time. One of the benefits of her HIIT program is that the training does not require that you own any specialized workout equipment, nor does it require that you have a membership at a gym. You can do these workouts at home in just a few minutes a day. The beauty of the 7 Day Jumpstart plan is its simplicity. You don’t have to count carbs or calories. You don’t have to measure out grams of fat. You don’t have to spend days drinking “power shakes” or have days when you fast. You don’t have to consume expensive dietary supplements, nor will you find Danette trying to persuade you to buy any. The 7 Day Jumpstart plan is simple – Danette lays out a list of foods, tells you why you should be eating them, and then provides you with a 7 day menu that is easy to prepare and easy to follow. 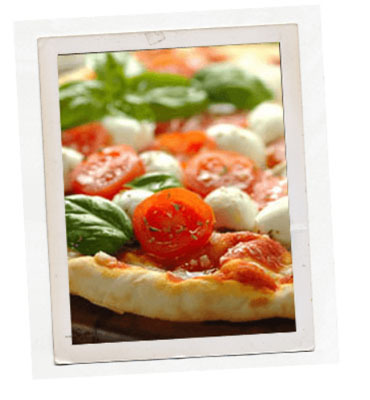 The recipes are satisfying and tasty, and you won’t have to buy a lot of expensive or unusual foods, either. The workout plan is one that can be done in about 20 minutes, and it doesn’t require special equipment or a trip to the gym. If you follow the 7 Day Jumpstart plan as described, you should see results within the 7 day period that Danette promises. Is 7 Day Jumpstart a scam? No, it’s a well-written book that offers a straightforward, easy-to-follow plan that should work for just about anyone. You won’t be hungry, and you won’t be worn out from excessive exercise. I read a lot of diet books, and some of them go on for hundreds of pages about nutrition and hormones and how the body processes food. That’s nice, but that’s not what most people want. Most people just want to lose weight. That’s what you get with 7 Day Jumpstart – a simple plan that should work if followed as directed. 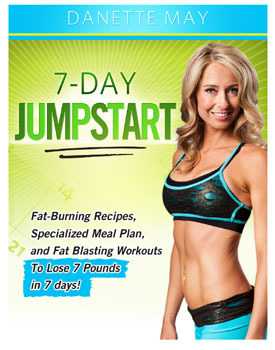 7 Day Jumpstart is highly recommended.